Nat Sherman is an iconic piece of American cigar history, from the renowned townhouse in Manhattan which now calls 42nd street its home to the legendary cigars they make. At the 2012 IPCPR in Orlando, FL Nat Sherman introduced the newest addition to their line of cigars, the Nat Sherman Timeless Nicaraguan. 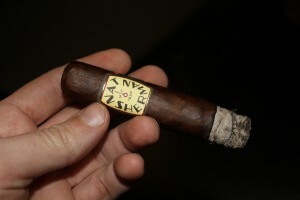 The Nat Sherman Timeless Nicaraguan is a Nicaraguan version of the Timeless, which I reviewed a few months ago here. The new Nicaraguan puro version of the Timeless is made by Plasencia Cigars S.A. in Esteli, Nicaragua, and comes in 3 box pressed sizes. The three sizes are the 452 (4 x 52) 556 (5 x 56) and the 660 (6 x 60), today I am reviewing the Nat Sherman Timeless Nicaraguan 452. I was excited to try out the Nat Sherman Timeless Nicaraguan, because the Nat Sherman Timeless made by MATASA, SA in the Dominican Republic is a cigar I quickly fell in love with. 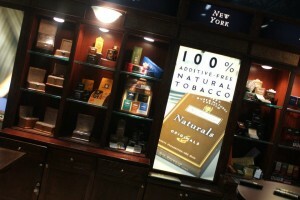 You can check out their website at www.natsherman.com, and you can follow Michael Herklots (The Executive retail director and brand development manager) on twitter (@Michaelherklots). 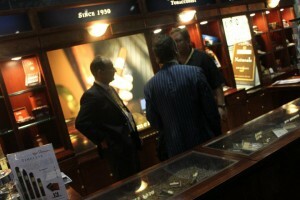 The Nat Sherman twitter is (@Nat42nd). Nat Sherman is also on Facebook, and quite actively engaging customers, so check out their Facebook page as well. Construction and Appearance: The wrapper of the Nat Sherman Timeless Nicaraguan is a medium brown with a reddish hue, it has some moderate veins and is smooth to the touch. It comes in a box pressed format which has a great feel in hand. It has the same band as the Nat Sherman Timeless, which is made by MATASA, SA in the Dominican Republic. The band of the Timeless, unlike the typical Nat Sherman bands which only feature the logo and different background colors, features the name Nat Sherman around NYC and 1930, the time and place where it all got started. 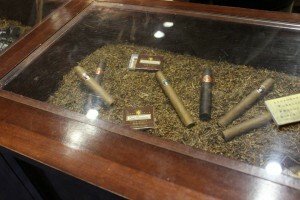 Flavor and Notes: The wrapper of the Nat Sherman Timeless Nicaraguan has notes of light sweet wood and natural tobacco. The foot has a scent which is a blend of wood, tobacco, and molasses. I use a V-Cut to prepare smoking the Nat Sherman Timeless Nicaraguan and the cold draw has flavors of natural tobacco, wood, and grass. Smoking Characteristics: The Nat Sherman Timeless Nicaraguan opens up with an generous draw, the body of smoke is full, rich, cool, smooth, and a bit creamy. The notes within the first third are a blend of natural tobacco, sweet wood, light spices, floral tones, and just a bit of earth. The floral tones and natural tobacco dominate the flavor profile and create an enjoyable blend. The burn line is very tight, the ash holds well past the inch point and is firm. 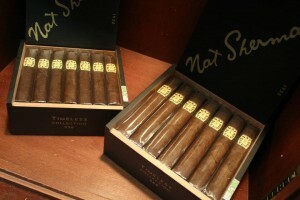 Into the second third of the Nat Sherman Timeless Nicaraguan, the floral flavors really open up and become quite rich. The notes of natural tobacco and spices still remain along with the woody flavors. During this third there is also a slight citrus note which fades in and out of the smoking profile. The strength is around the medium range with a nice little burn on the retrohale, also the retrohale is rich with spices. The draw, burn, and ash are all still exceptional. During the final third of the Nat Sherman Timeless Nicaraguan, there isn’t much evolution to the flavor. The notes of natural tobacco, floral tones, earth, wood, and light spices all remain. During the final third, I no longer taste any of the citrus notes. The ash still holds very firm, easily past the inch point, and the burn is nearly razor sharp, having required no corrections. 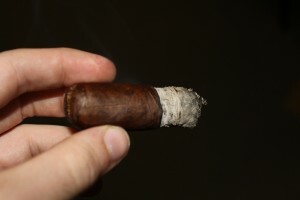 The draw is excellent, easily providing a full body of the rich, cool, smooth, creamy smoke. During this third the strength picks up just a bit and creeps into the medium to full range. Conclusion: The Nat Sherman Timeless Nicaraguan is an excellent cigar with a nice rich flavor and impeccable construction. The blend is complex and very enjoyable. This blend is a wonderful compliment to the other Nat Sherman offerings, much like the original Timeless. Out of the two, I prefer the original MATASA, SA version of the Timeless. However, I could easily see myself smoking this Nicaraguan puro as part of my regular rotation of cigars. I’d recommend this one for a purchase, especially if you are a fan of this iconic American brand.